The very articulate Rochelle Koskie met me at Chautauqua and told me of a very worthy event at the Glenn Gould Studio in Toronto on October 1 — celebrating the inauguration of the JAZZ PERFORMANCE AND EDUCATION CENTRE of Toronto, with a musical gala in honor of Lincoln Alexander. I didn’t know much about Alexander, but he is the first black Canadian to serve in a vice-regal position; he has been an influential political force for good. And he is an ardent jazz fan! I won’t supply all the details here but will say that the evening will include performances by Peter Appleyard, Guido Basso, Russ Little, Archie Alleyne, Joe Sealey, Arlene Duncan, Michael Dunstan, Molly Johnson, Jackie Richardson, Scott Alexander, Brian Barlow, Vern Dorge, Steve Mc Dade, Ted Quinlan, Michael Stuart, Tom Szcesniak, and Simon Walls — all Canadian jazz luminaries. That’s worth supporting — and the gala evening ends with a dessert reception, always a good thing. 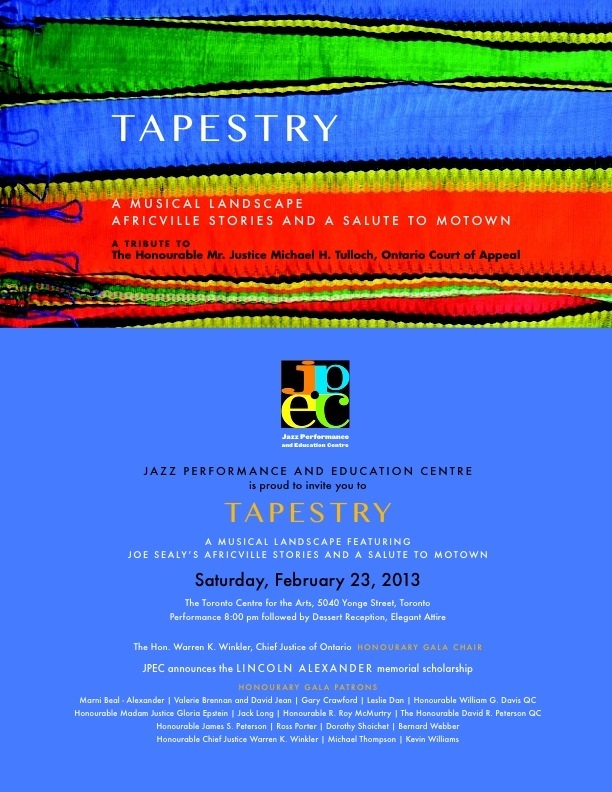 For more details, visit www.jazzcentre.ca.